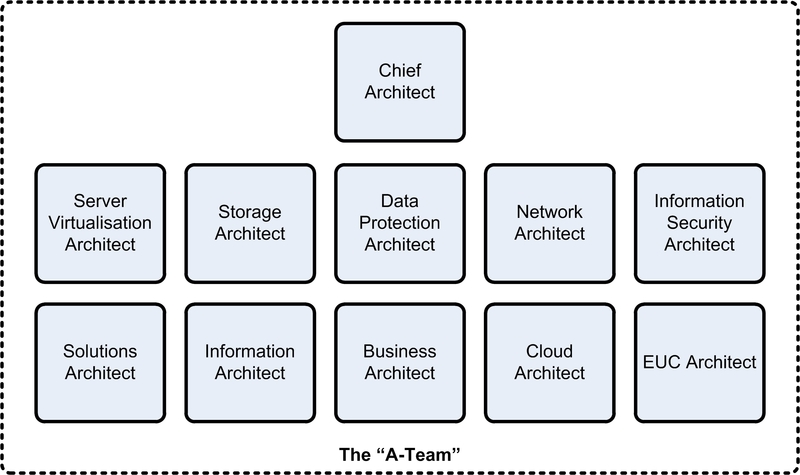 This is part 2 of the Information Technology Transformation series, describing the creation of the “A-Team” / Architecture Office and the associated Architecture Review process. This is the group of people that you will lead and who will collaborate with the entire organisation to be the agents of change and transformation. Maintaining the Baseline documents and diagrams that describe the current “As Is” Enterprise solutions (covered in Part 3). Communicating the Target Architecture, 5 Year Strategy and Architecture Review process to the rest of the organisation (covered in Part 6). Note that the delta between the “Baseline” and the “Target Architecture” is captured in the “5 Year Strategy”. The strategy is about transforming from what you are now (“As Is”) to what you want to be (“Target”). The fact that you have been engaged to “fix” things, is an indicator that your new company probably does not have the right skills you need. Depending upon the size of the organisation, you are going to need a team (three to ten people) of trusted, multi-silo expert architects to work with you in transformation. If you try to do it all yourself, you will burn out and fail. You may be able to utilise existing resources from within the IT Division, but odds are you will have to bring in new blood. So choose your team carefully and be prepared to pay way above market rates for their services. Your future success depends upon it! “Can-do” attitude – when given a difficult task, does not whine about how tough it will be, just makes it happen. “Fire and Forget” – can take a task and complete it without needing to be micro-managed. Only comes to you for the escalation of blocking issues that cannot be resolved or to report task completion. Incredibly high level of productive output – what takes most people one day, can complete within one hour. Does not wait to be asked to fix problem areas. Punctual – turns up to work on time, does not slack and attends meetings on time. Possibly ADHD – always hungry to learn new things, enjoys change. Is a “Trailblazer” – always “pushes the envelope” and is not afraid to lead the way so that other people can follow. “Breadth and Depth” – has deep technical knowledge across multiple technology silos. Has Project Management skills – superior time management / people skills and can lead a project to completion. Is an Enterprise Administrator who can work with any technology – is able to figure things out on the fly. Is an Enterprise Architect who can provide logical designs for any technology across the entire Enterprise stack. Understands “Organisation”, “IT Operations” and “IT Governance”. Is a Subject Matter Expert (SME) for five or six vendor technologies. Good Communicator – is able to listen and collect information and explain complicated concepts. Public Speaker – is able to speak in public and present technical concepts and methodologies. Enjoys Mentoring – has no problem sharing knowledge and helping other people grow. Finding people with all of these characteristics and skills is very difficult, so you will have select people who complement each other, so that as a team, every skill is covered. Cross-pollinating within the team is very important to ensure that your team members are “T-Skilling”. This ensures that each team member is continuing to learn and evolve over time and promotes the development of “Super Architects” and “Super Administrators”. You now have a highly skilled team in place and you need to retain that pool of talent by recognising individual achievements and providing incentives and rewards for exceptional performance. Depending upon the individual, that can be in the form of salary increases, bonuses, public recognition within the company, advanced training, attending conferences etc. Keep your people happy and content, it naturally increases productivity and breeds success. 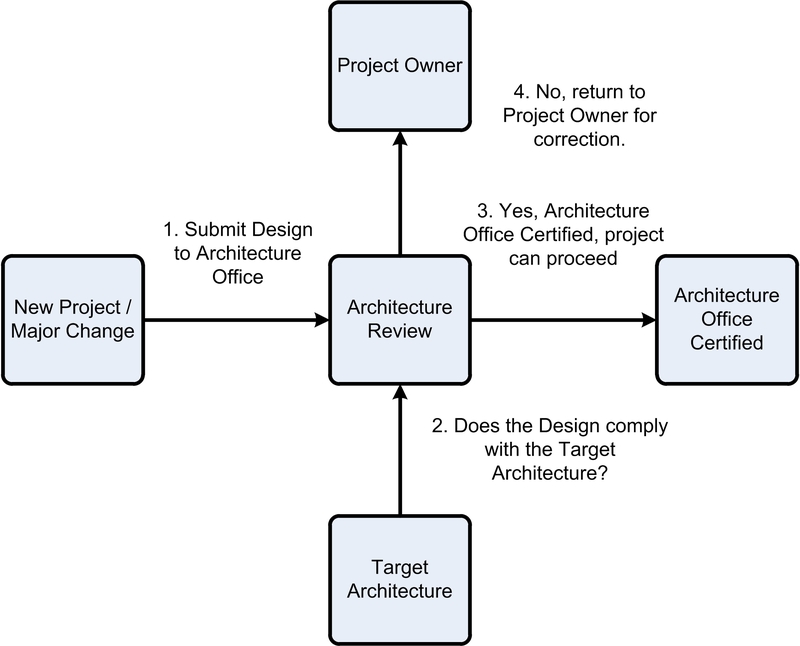 What is the Architecture Review Process? It is imperative that you implement the “Architecture Review Process” to take control of any new projects or major changes that are being planned. This will ensure that things will be consistent and predictable across the entire Enterprise where each silo complies with the Target Architecture. Project Owner of the new project or major change submits the Proposed Architecture Design to the Architecture Office. The Architecture Office reviews the Proposed Architecture Design and any supporting documentation against the Target Architecture. If the Proposed Architecture Design does not comply with the Target Architecture, it is returned to the Project Owner for correction. If the Proposed Architecture Design complies with the Target Architecture, it is declared Architecture Office Certified and the project can proceed to the implementation phase. Enterprise Architecture – Do you have one? Evolution of Storage – What is your strategy? Great post Rene! Definitely on the same page here.